As October starts we wanted to look back on the last month. It was jam packed with some fantastic Springtime events that we were more than excited to host. Most recently we were there to see the Launch of Bernard Cohen’s new book “When I Saw the Animal.” We had a full house enjoying wine and chatting with Bernard himself throughout the night. 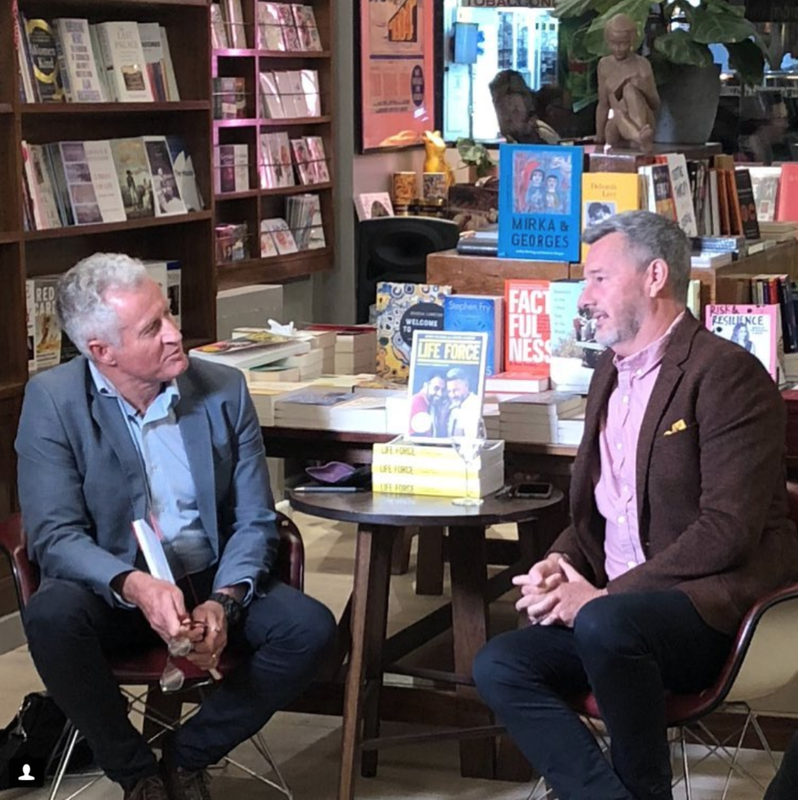 Barry Du Bois joined us on the 18th for an intimate, heart wrenching talk on the nature of illness & the art of living. We loved hearing his story (and reading it!) and everyone in the room was touched by his raw honesty about his fight with cancer. It was great to have in journalist Peter Ryan, who hosted the event and provided us all with great insight throughout the night. During the Sydney Fringe Festival we were honoured to host a live music night, with performances from artists Alex Terry, Karai Hemara and Billie McCarthy. We’re definitely keen for more live music events as the night was full to the brim with singing & dancing. We couldn’t leave without mentioning Bella Zanesco, who in August sat down with us to discuss her book “Smart Girls Screw Up Too.” It was a great night of reflection & inspiration for everyone who attended. We’re so pleased that we were able to hear from such a great modern literary voice & absolute legend as Bella. Keep up to date with our events online or on instagram, and make sure to stop by in store to check out all our new releases!